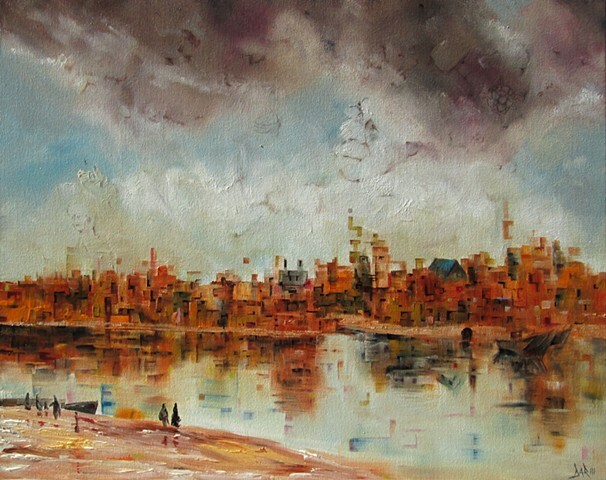 Inspiration for this piece began with a study of a landscape by Vermeer of a Dutch town. From this jumping off point I began abstracting and deconstructing. Finally I reconstructed a series of faces into the clouds, town and reflections.